An alcoholic confronting one’s inner monsters has never been explored in the way it is in writer-director Nacho Vigalondo’s “Colossal,” where the monster is both literal and metaphorical in a story both human and fantastical. Grafting a you-can’t-go-home-again indie comedy and addiction drama to Guillermo del Toro’s “Pacific Rim,” of all things, it is an ambitious combo that sounds heavy-handed but nearly reinvents the Japanese kaiju monster movie with its wildly weird, objectively original conceit. 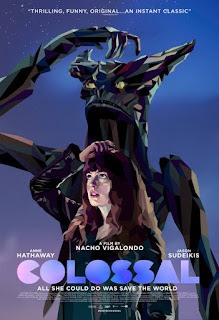 Between 2008's "Timecrimes" and 2014's “Open Windows,” Vigalondo is a filmmaker who never makes the same movie twice—even if they are all audacious undertakings—and “Colossal” is surely a breath of fresh air with a wonderfully unusual whopper of an idea for a genre-hopping hybrid. That it hazards to be daring and different almost makes up for the merging of two disparate genres not always hanging together snugly. Gloria (Anna Hathaway) is a trainwreck. She has little money and no prospects after losing her writing job months ago. When she returns home to her New York City loft apartment still drunk following a late night, Gloria finds her bags already packed by fed-up English boyfriend Tim (Dan Stevens). With nothing else to lose, she heads back to her hometown and squats in her childhood home on an air mattress. 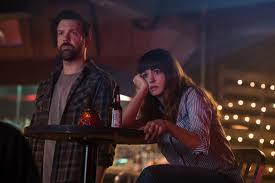 Gloria runs into an old friend, Oscar (Jason Sudeikis), who owns a half-renovated bar and offers her a job. Though she knows it’s probably not a good idea, she slips right back into her old habits after hanging out with Oscar and his two drinking buddies, bar fly Garth (Tim Blake Nelson) and puppyish simpleton Joel (Austin Stowell). One morning, she wakes up hungover in typical fashion but discovers on the news that a Godzilla-like monster has attacked Seoul, South Korea, and soon comes to realize that her actions and physical movements synchronized with the monster are not even close to coincidental. The consequences of Gloria thoughtlessly getting blackout drunk are as big and catastrophic as the collateral damage in Seoul. “Colossal” isn’t always comfortable in the tricky tonal shifts it has to make, but its pure audacity counts for a lot. 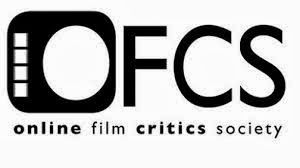 Beginning with a small-scale, down-home vibe and a focus on personal struggles, the film initially sees Gloria shocked and saddened by the news reporting the loss of lives on the other side of the world, and then when she realizes the monster is caught on camera and mimics a familiar nervous tick of hers, she’s dumbfounded. Once the story zigs and zags, it takes inventive and surprising shape. Just before the film might back itself into a corner, there is a method to Nacho Vigalondo’s madness, as he taps into something darker and more serious, using the monster angle as a metaphor for addiction, abusive relationships, and overall pain. The viewer will either go with the surreal leaps taken by “Colossal” or not. With such a one-of-a-kind premise, part of the fun is seeing if Nacho Vigalondo can pull it all off when he eventually has to explain himself. The film increasingly hints at the source of the monster, flashing back twenty-five years earlier to a young Gloria (Hannah Cheramy), and as Vigalondo keeps the reason for Gloria’s monster manifesting itself so close to the vest and underdeveloped, it’s like a dangling carrot. It is a stretch how the two narrative planes connect, but one respects how the story is kept grounded for so long and keeps the rules consistent (i.e. the destruction on Seoul only happens when Gloria is in a certain place at a certain time). By the end of it all, Gloria’s alcoholism just kind of fritters away, as if Vigalondo no longer knows how to handle it. The results are not seamless, but they are interestingly oddball. Watching Anne Hathaway play a functioning alcoholic, it’s hard not to think of her raw, achingly true turn as a drug-addicted black sheep and perpetual screw-up in Jonathan Demme’s “Rachel Getting Married.” Hiding behind her bangs, Hathaway seems more than willing to play Gloria honestly at the cost of likability when a flawed and selfish character is much more interesting. It is a compelling, loosely funny, and affecting performance from the lovely actress who has been the focus of unnecessary hatred in recent years, and there is an empowering quality to Gloria by the end. Oscar is the kind of affable slacker character Jason Sudeikis can play in his sleep, but he knows how to play despicable, too, and subverts expectations with Oscar's arc into alcohol-fueled rage and dangerous jealousy. The switch might come off a little sudden, but it’s been there all along, just bottled-up. 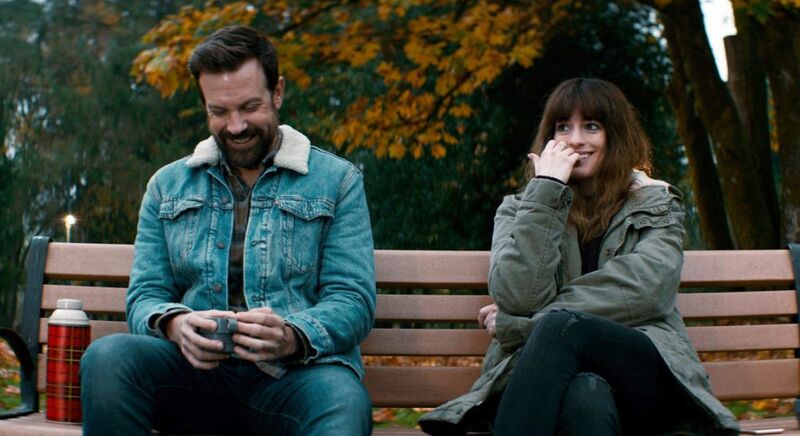 No doubt about it, “Colossal” has distinction, and it ends with a choice line and reaction by Hathaway, but it's fated to be most memorable for a premise so unique and so-strange-you-got-to-see-it. Perhaps it doesn’t hold the profound catharsis it could have, though it is better to swing for the fences than to go through the motions and not try at all.